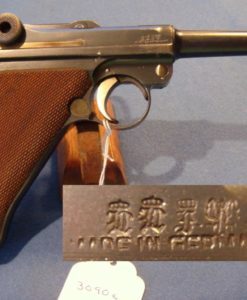 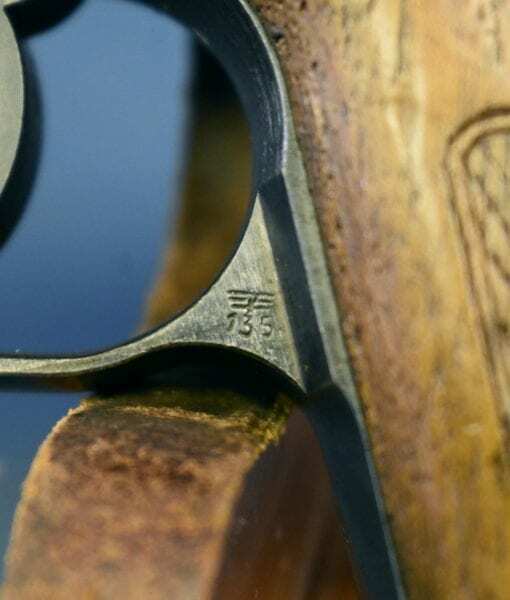 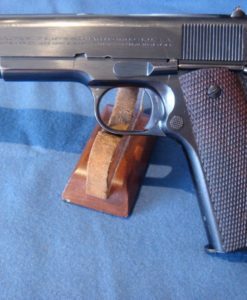 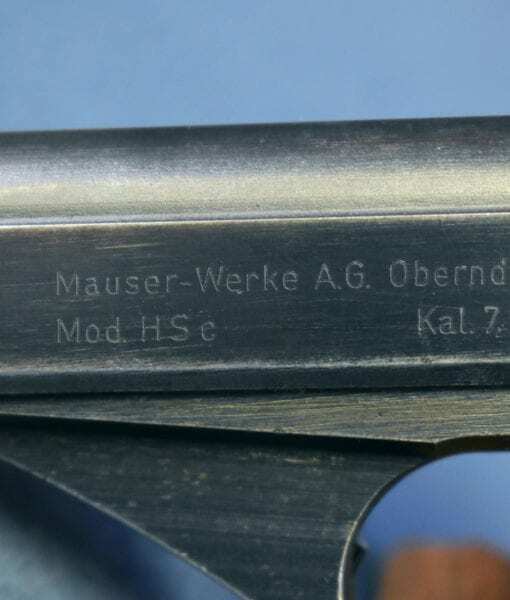 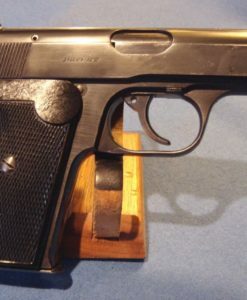 SOLD MAUSER HSc PISTOL……. 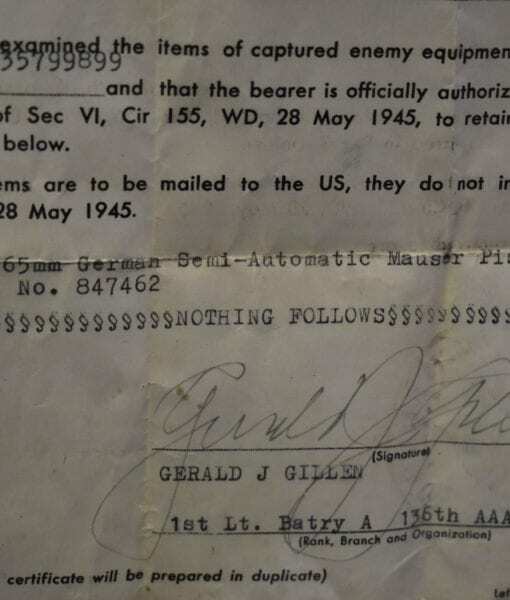 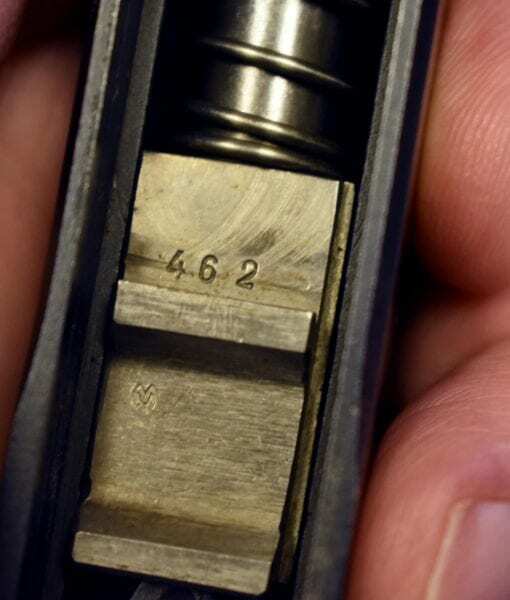 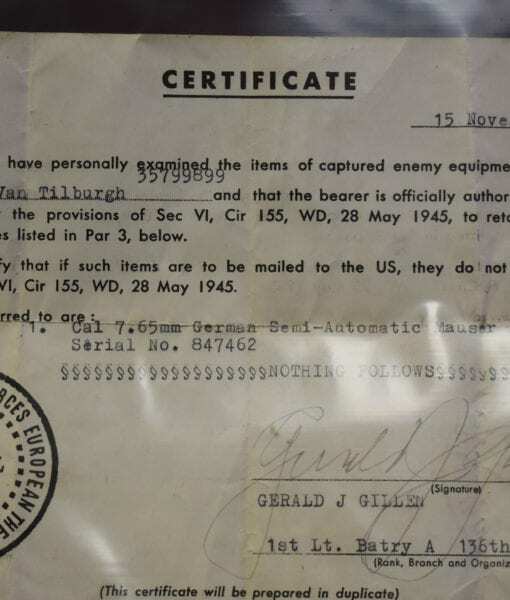 E/135 PROOFED……….MID 1943 PRODUCTION….VERY SHARP!…..WITH CAPTURE PAPERS!!! 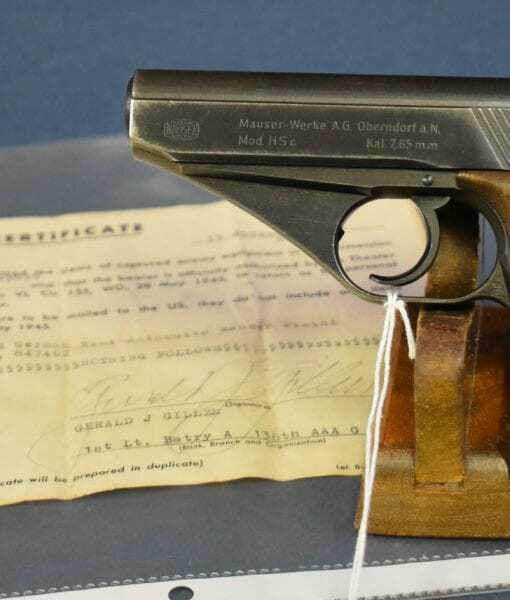 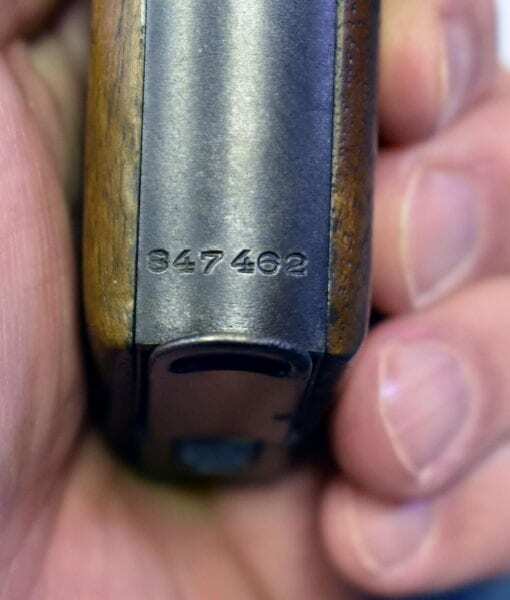 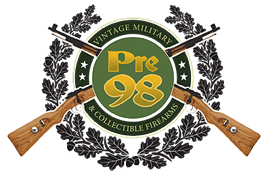 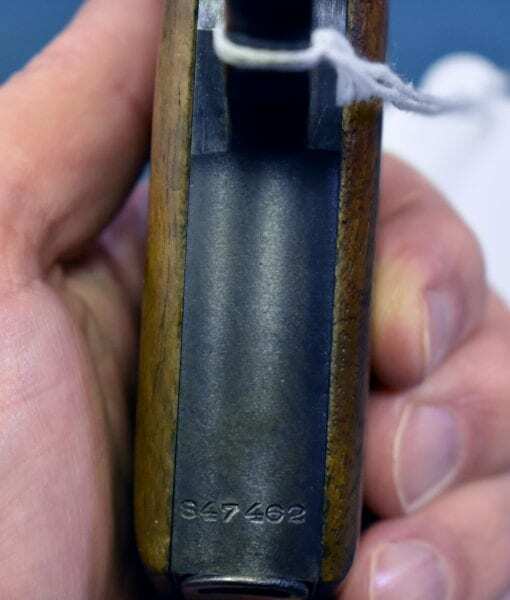 In 97% very sharp condition, we have a mid 1943 production Eagle 135 inspected Mauser HSc Pistol that still has the original vet bring back papers. 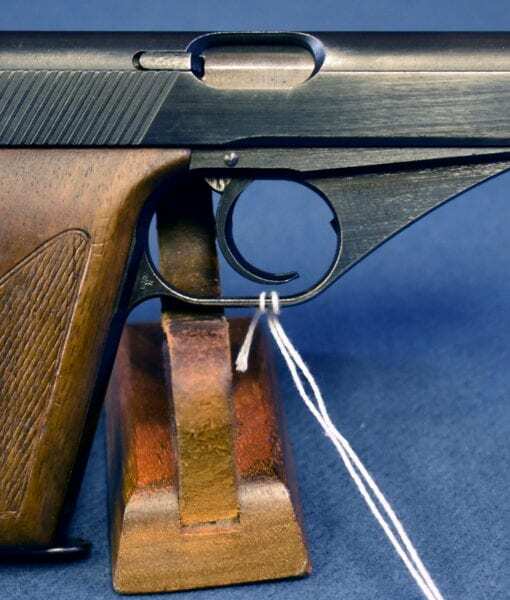 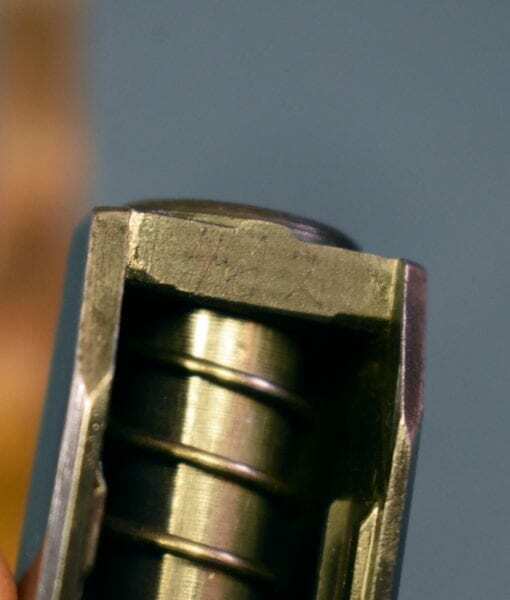 This variant has the less polished finish, but still retains a very high degree of fit and finish, with such early features as the matted sight channel and lanyard loop having been eliminated from production. 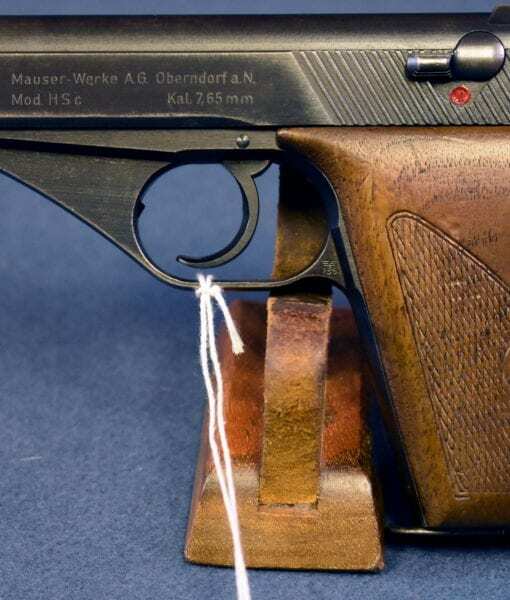 Still, the pistol is made to very high standards and it extremely attractive. 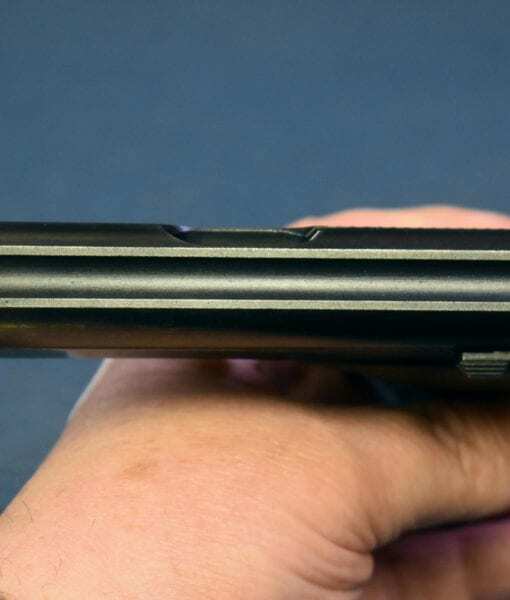 The bore is mint and the pistol is all matching as well. 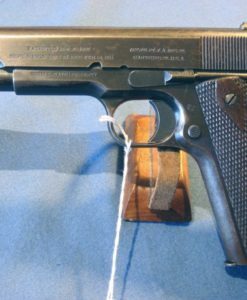 These days its nearly impossible to find a pistol like this that still retains the original 70 plus year old paper from the war and these guns that still have a story to tell are highly sought after.